Pawan Kalyan is one of the most popular actors not only in South India but also in the entire country. The immense following of him has made him a pan-Indian actor, without even being acted in a single Hindi film. Many celebrities from the North also stated him as their favorite actor in Telugu. Now, Indian Cricket player MS Dhoni has joined the fan club of Pawan. 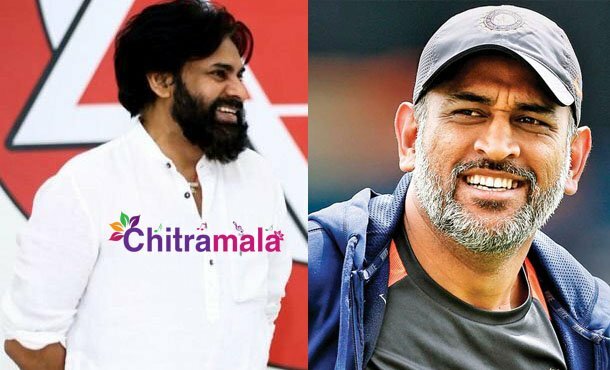 In a recent interview during the promotion of his IPL team Chennai Super Kings, MS stated that Pawan is his favorite actor down the South. He also mentioned the names of other star heroes like Jr. NTR and Thalapathy Vijay. Currently, this video is going viral all over the internet. Pawan has recently left film career and entered into full-time politics. Meanwhile, the 12th edition of Indian Premier League all set to start from April 23rd where Chennai Super Kings and Royal Challengers Bangalore will battle it out in the first match.